Wow. I'm still on the mend from the crazy weekend. Even though it's already Tuesday, I lived through today with a serious case of the Mondays. The arid environment in Las Vegas combined with lack of proper water intake, lack of sleep, lack of food, excess of alcohol consumption and some travel woes really put a damper on my week so far. All that said, I come home from DefCon with a renewed passion for security, a huge list of new contacts that I hope to keep in touch with, and a pile of notes, schwag, books, CDs and DVDs I have to wade through eventually. 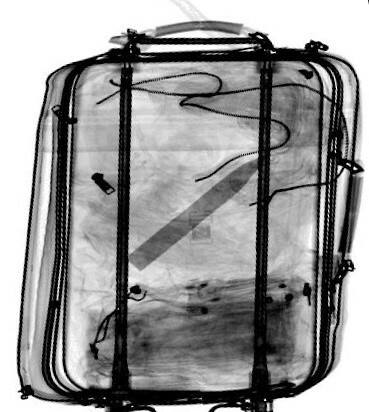 At the end of my airport post last Thursday, I made a reference to an article I was writing in regards to smuggling lockpicks in my carry-on luggage. Also, I've been promising the guys at i-Hacked that I'd be willing to write some stuff for their site on occasion. I delivered on both promises yesterday with my first i-Hacked guest post: Sneaking Lockpicks past the TSA in carry-on luggage. Within half a day, it already got the attention of Security Monkey and was posted on IT Toolbox. Then, it got submitted to Digg, although it's still a far cry away from hitting the front page. Feel free to Digg it up. Today, Network Security Podcaster/Blogger Martin McKeay posted his own take on getting lockpicks back home safely and his technique (used last year coming home from ShmooCon) is pretty similar to the one I came up with. I guess I wasn't expecting this much buzz about it. In other news: while at DefCon, I was talking to Jur1st. He's the founder of Cowtown Computer Congress, a group that is striving to unite all the small yet talented cliques of hackers, geeks, and user-group-goers in Kansas City. Meetings are held every Thursday. More info can be found on their site. The current big project is establishing a hackerspace in Kansas City. Hackerspaces are buildings that members can use for user group meetings, collaborative projects, lab testing and social events. Every hackerspace is unique to suit the needs of its patrons, so it should be interesting to see how this one plays out. I'm pretty stoked to start taking part in the Congress. There's actually a lot of talent in KC. We're just too jaded and cliquey to see the others. I really hope CCCKC fixes that. I promise to start posting some details on the talks I went to as soon as I start feeling more like a human.